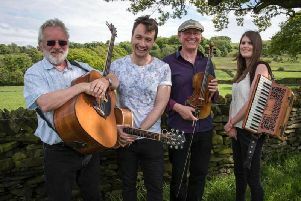 Mandolin player Simon Mayor and singer Hilary James will be performing in Derbyshire this weekend. Simon is one of the world’s foremost mandolinists and composer for the instrument who plays and teaches at festivals and conventions. Hilary’s singing is quintessentially English but crosses the musical divides from Celtic ballads to blues and Berlioz.